Here at Virginia Beach Garage Door Pros, our team provides the very best in customer service when it comes to garage door repairs and installations in Newport News, VA. We work with both homeowners and commercial property owners, and we do our best to customize our services and select products that meet each clients’ individual needs. For example, when working with local business owners, we can install any commercial garage door based on your business needs. We have serviced the greater Hampton Roads area for years and have performed thousands of installations with excellence. Our attention to detail and customer focus has made us the best commercial garage installer in the area, and we won’t stop until all our community commercial garage door needs are met. Commercial doors in particular need to be able to withstand the wear and tear of frequent use in a humming business. In fast-moving businesses, garage doors open and shut much more frequently than a residential garage door which means that having a trusted repair partner on hand is vital. They also need to be able to contribute to facility security in order to protect your products and employees. We have rust-resistant, insulated, and steel doors, as well as a wide variety of materials for doors that can be custom configured based on your business requirements. Our team tries to establish relationships with businesses before a garage door failure strikes so we can act swiftly to keep your business moving. Commercial garage doors are oftentimes larger and designed for a heavier workload than residential doors, so designs and maintenance can be more complicated. Our certified technicians are trained to handle any commercial garage door issues and are on call day or night because business never sleeps. We strive for same-day service when called with an emergency and will return your garage door to working order as quickly as possible. For many businesses, a commercial garage door represents part of the face of a business. 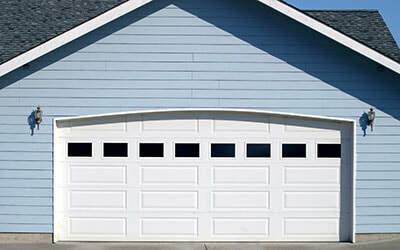 Garage doors are located on a building’s exterior and contribute to the overall impression of a company. 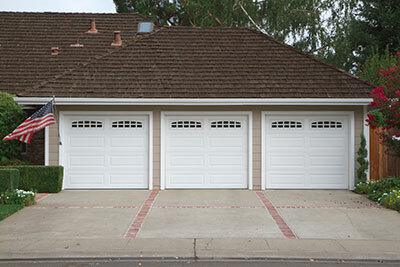 Maintaining a garage door in a presentable and well-run way implies business excellence. A malfunctioning garage door, or a garage door in disrepair, can negatively affect customer confidence. Keeping commercial garage doors serviced and maintained is a top priority for Virginia Beach Garage Door Pros. We want to help keep your business moving, as well as contribute to the thriving business community of Newport News. Many businesses schedule us for regular check-ups in order to provide preventative care needed to avoid unexpected emergencies. Our technicians can come by for inspections to spot any component repair or replacement before it can affect the opening or closing of the garage door. We match the rhythm of your business and conduct servicing and maintenance any time to minimize disruption to your operations. We also take great care to avoid any safety risk to your employees by ensuring our technicians are trained on every make and model of commercial garage doors. Your business is our priority, so give us a call at Virginia Beach Garage Door Pros today.